Communication is important in many ways during the execution of a Project. 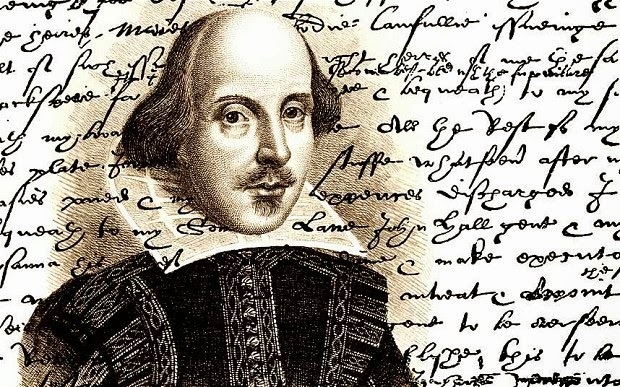 There are risks of miscommunication to be mitigated and several areas of communication to focus on which I will cover in this post with a few Proverbs thrown in to help reinforce points. Also as a good analyst you need to probe the subject matter as a user may naturally not volunteer information. Also, I'm sure that most of you are aware of the tree swing analogy re communication breakdown. So the requirements need to be echoed back in some written form and validated by the users but sometimes this has a risk of misinterpretation. Analysis techniques such as UML with Use Case Diagrams are designed to reduce the risk of such communication breakdowns - as the saying goes ""A picture is worth a thousand words". So your project is likely to have a whole raft of documentation which needs to be able to properly communicate with an audience of reviewers and approvers as well as other people in the team. Having templates (or PRINCE2 product descriptions) can aid structuring the document correctly for understanding (and ensuring all subject matter is covered). However, the individual producing the document still has a role to set out the content in a sensible fashion to aid communication. Of course, topics such as configuration management and ease of finding documents in the Project file also come into play. Tools such as SharePoint can help here although you still need to structure your Project file correctly to aid communication. You should understand who your stakeholders are and how best to communicate to them, see my post on Stakeholder analysis. 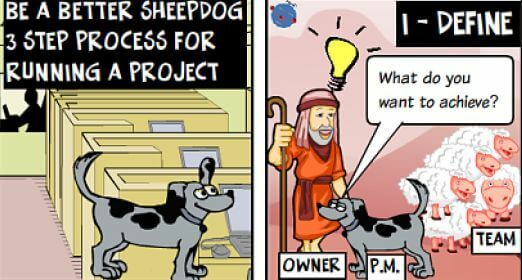 For Project updates, a Status Report (Highlight Report in PRINCE2) is a good way of regularly communicating project progress and issues to several groups. Additionally for the project governance group (Project Board in PRINCE2) you should organise formal meetings at least monthly. 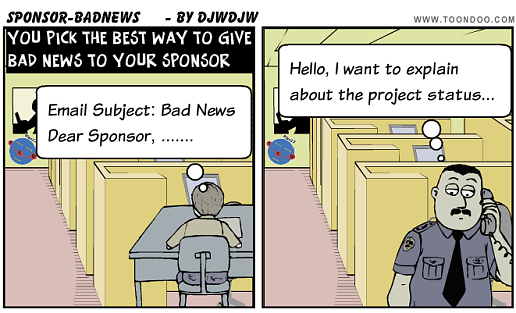 Your Sponsor deserves special consideration. A weekly status report is something which can be read at leisure to keep up to date and with the Project Board meetings for formal monthly updates, this is fine if things are broadly going to plan. But if things have gone awry and you need to convey some bad news, I strongly recommend picking up the phone to explain things rather than other communication approaches and especially before the status report is published!! Balance of listening versus speaking! Consider whether access to the Status report is sufficient communication with your Project team? A forum for two way conversations about progress is beneficial. Options here are to use your meetings with team leads to convey information which is then cascaded down to all team members with feedback coming back up through the next meeting. Also you can tap into existing "whole team" meetings or establish your own Project or Programme Town hall meetings to allow a two way dialogue directly with all team members periodically. Maybe consider a weekly Blog for a more informal style of team communication than the Status Report? Consider the personality of the recipient, for some you should wallow in detail, for others it needs to be really punchy "what is the so what?" 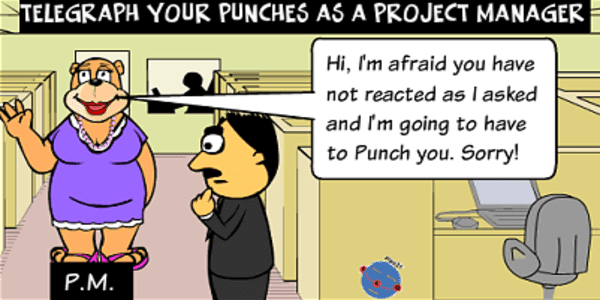 Consider the use of jargon in communication as per this cartoon showing poor Project Manager - Sponsor communication! I know I have only scratched the surface of a discussion on Communications within Projects but hopefully it is sufficient to inspire you to consider this topic carefully both when Initiating a new Project and continuously during the execution. External Dependencies need to be carefully managed to ensure they don't trip up your Project and cause you to cross the finish line late. In this post I suggest how to manage with tips and templates. First a definition! What I don't mean is task dependencies (i.e. you can't complete task a until task b is complete). What I do mean is things you need to deliver your project which aren't part of your project scope and need to be provided by others, often a different project. This is very common in Programmes but can be seen in other scenarios. When you are working through your Project Planning you should identify anything which you need to deliver your scope which isn't part of your scope, who you believe is providing these items and when you need them. You have now found your External Dependencies which should be clearly marked within your schedule (typically I have these as clearly marked milestones "EXT DEP:<description>"). The first thing to note is that just because you would like an external dependency to be satisfied by date "x" doesn't mean that the provider can or will be able to achieve this. When the dependency has been met, mark the dependency appropriately in the log. Eventually, every one in the Log should be either cancelled or marked as "Met"
A good Dependency Log / Register is important in the management processes described above. Below is my standard dependency log held in Excel. Description - As specific as you can make it. It is OK to start vague but you need to firm up before it is marked as "Agreed"
External Dependency management is really important within a Programme of Projects but often in other scenarios too. 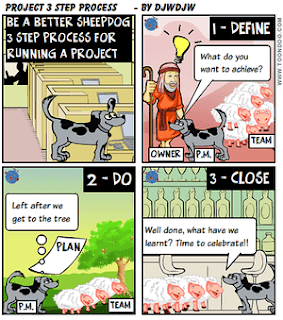 A 4 step management process is suggested built upon a good Dependency Log but of course, it all relies on good planning first. 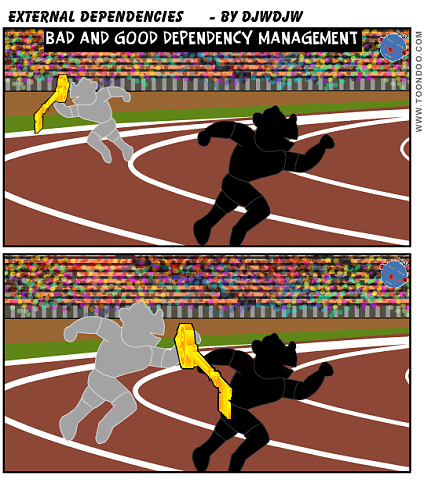 If you don't plan, agree and manage external dependencies, the baton may be dropped in your Project race resulting in a delay as your external contacts quote you the old saying "Your inability to plan does not become my emergency"! !